Libyan Migrant Crisis In Wings? HomeNews CommentaryLibyan Migrant Crisis In Wings? Khalifa Haftar was one of the people who followed Muammar Gadaffi in the 1969 Libyan coup, where Gadaffi seized power. He was made a military leader, directed to fight in Chad… and was then completely disavowed and abandoned when his forces were captured. This betrayal spurred a great resentment in Haftar, and after being released by Chad he settled in the United States, working from afar against his former leader. When the Libyan uprising began in 2011, Haftar traveled to Libya to join it as an experienced military leader. The uprising was successful… to a point. One result was a fractured Libya, with a variety of leaders holding power and protective various parts, with some areas under terrorist control. The international community attempted to correct this by lending money, providing guidance, and devoting military instruction and intelligence to one of the dominant leaders. This is Prime Minister Fayez al-Serraj, and his group is the Government of National Accord (GNA). Haftar does not believe Fayez al-Serraj should be leader, and has neither disbanded his group nor signed on with al-Serraj. Haftar is popular in some areas of Libya, having been partially responsible for the liberation of Benghazi from militants. With varying levels of support from Saudi Arabia, Egypt and France, he is now pressing the matter, as noted by France 24. He is pushing into the country’s largest city, Tripoli, in an attempt to seize control of the nation. The resultant conflict is projected to cause hundreds of thousands of people to flee the fighting and resultant disruptions… and they are expected to go to Europe. al-Serraj estimates there are clost to a million who would be displaced by a full-scale war in the nation. For perspective, the entire quantity of estimated Mexican border crossings into the United States – from asylum seekers and illegal crossers – was 400,000 in 2018. Most of the Libyan refugees are expected to cross through Italy, which has greatly increased tensions between the current Italian government and France’s government. 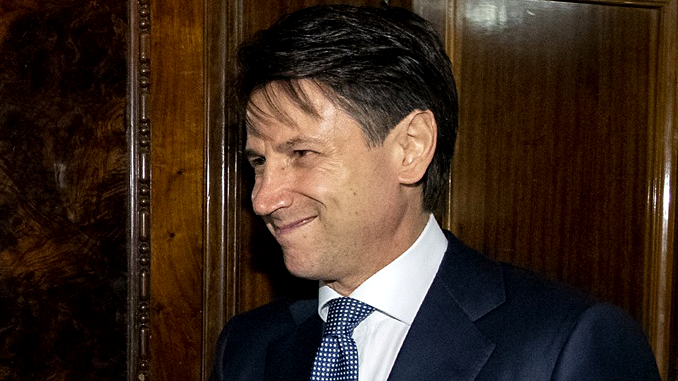 The Italian leadership, elected on a largely anti-immigrant platform and promises of an economic boom which has not manifested, is upset by the possible reversal of their one perceived “success”, lowering immigration rates. The movement into Tripoli by Haftar, begun on April 4, has stalled as local militant groups affiliated with al-Serraj have been defending areas independently from the official government forces. The bottom line for all of this: France is supporting Haftar largely because, despite his hardliner interpretation of Islam, he’s been very effective at rooting out terrorists and France has been actively pushing against terrorist groups in the area. Italy is supporting al-Serraj because he has drastically lowered migration from Libya into Italy. Militant groups are known to have used prior migration waves to slip their agents into European countries, further muddying the waters. The internal conflict between two EU nations who have fairly large global footprints will have ripple effects throughout the world. Lastly, and most directly, war in Libya will further destabilize the region and result in massive death and destruction.